Apply for ECIL Recruitment 2017. 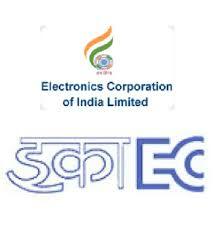 The Electronics Corporation of India Limited is going to fill up 66 Graduate Engineer Trainee Vacancies. ECIL officials have inviting online application forms. So, Job Seekers who are applying for ECIL Graduate Engineer Trainee Recruitment 2017 they must apply before 22nd December 2017. Interested candidates can check their Eligibility Criteria and submit their application forms. Applying candidates can check the Education Qualification, Application Fee, Selection Process, Age Limit and Age Relaxation, Pay Scale and much more stuff are provided in the below section. For more details scroll down and check ECIL Recruitment 2017 information. Aspirants who are interested in Electronics Corporation of India Limited Jobs for those candidates here is a good news. The ECIL has circulated a new notice titled as ECIL Recruitment 2017 for the eligible candidates to fill 66 Graduate Engineer Trainee Vacancies. As this is the best career option for the job seekers to build their career in a Central Government Sector. Comming to the education qualification the applying aspirants must possess First Class Engineering Degree with a minimum of 65% marks in aggregate (55% for SC/STs) from AICTE approved Colleges / Recognized Indian Universities in the relevant discipline. After checking the eligibility criteria aspirants who are suitable for ECIL Graduate Engineer Trainee Recruitment 2017 they can use this chance and apply before 22nd December 2017 through online mode. The stream wise details are clearly mentioned in the below section. Candidates who are applying for ECIL Recruitment 2017 Notification those aspirants minimum age limit should be 25 years. The category wise upper age relaxation details are available in the below section. The applied contenders must face Computer Based Test and Personal Interview. After completion of the registration process, all the aspirants must begin their preparation with the help of given syllabus. Utilize this chance and get a job in Electronics Corporation of India Limited. Job Fighters who are interested in Graduate Engineer Trainee Jobs for those aspirants this is a great career option. We request each and every applicant before filling the application form it is better to refer the complete article. Also, check the official website of Electronics Corporation of India Limited and check more details. Visit our website SarkariRecruitment and check latest updates. Apply for ECIL Graduate Engineer Trainee Recruitment 2017 before 22nd December 2017. After completion of the last date, the officials do not receive the application forms. The General and OBC candidates need to pay the Rs. 500/- as application fee. And there is no application fee other category people. The selected candidates will receive Rs. 38, 430/- to Rs. 56, 970/-. The Electronics Corporation of India Limited is offering the best salary for the selected candidates. So, utilize this chance and apply for ECIL Jobs 2017. Moreover, all the required details such as Education Qualification, Application Fee, Stream Wise Vacancy Details, Selection Process and much stuff is provided in this article. At the bottom of the page, we attached an official ECIL Recruitment 2017 Notification. If you have any doubts they check the advertisement. First Class Engineering Degree with a minimum of 65% marks in aggregate (55% for SC/STs) from AICTE approved Colleges / Recognized Indian Universities in the relevant discipline. Applicants, minimum age limit must be 25 Years. The Age Relaxation for OBC (Non – Creamy Layer ) Candidates is three years. The selection process for Graduate Engineer Trainee Jobs is Computer Based Test and Personal Interview. Aspirants who got selected for ECIL Graduate Engineer Trainee Vacancies they will receive Rs. 38, 430/- to Rs. 56, 970/-. The Starting Date to Fill the Application Form: 2nd December 2017. The Ending Date for Submitting the Online Application Form: 22nd December 2017.
www.ecil.co.in only to candidates shortlisted after Computer Based Test. Visit the official website of Electronics Corporation of India Limited www.ecil.co.in. Check the details and if you are suitable then download the application form. Follow the given ECIL Recruitment 2017 details and apply. Candidates can bookmark our website and get regular updates. Also, you can easily check your examination results on Sarkari Result. ECIL Recruitment 2017 Notification is available on its official web page of the Electronics Corporation of India Limited (ECIL). So candidates who are eagerly waiting for the latest Jobs in the ECIL Hyderabad can visit the official web page of the ECIL @ www.ecil.co.in and read the official ECIL Recruitment 2017 Notification to get to know the eligibility. Hence, the officials need to fill the 275 Apprentice Vacancies in the ECIL. Candidates who are thinking that are eligible they can start the application process to get participate in this recruitment process. We advise the aspirants they can start the application process for the ECIL Hyderabad Fitter, Turner, Machinist, Machinist (G), Sheet Metal Worker, Electrician, Tool Maintenance Mechanic, Tool & Die Maker, Mechanic R&ac, Motor Mechanic Vehicle, Electronics Mechanic/ R & Tv, Painter (G), Copa, Welder, Plumber, Carpenter, Diesel Mechanic Recruitment 2017 Notification. Candidates can download the official application form from the below sections of this page and post that filled application form to the official postal address. You need to send the Hard Copy of the application form before the last date i.e., 04-10-2017. So scroll down this page to get the postal address. Candidates who are seeking for the latest Govt Jobs in Telangana State they can check this article and apply for the ECIL Recruitment 2017 before the last date. Applicants who are ready to apply they must obey the eligibility criteria as mentioned in the notification. Candidates with the ITI Pass Certificate in respective trade or equivalent from a recognized board are eligible to apply. Along with the educational qualifications, you can also obey the age limit of the candidate. So applicants minimum age limit is should not be less than 14 Years as on the last date of the application form. And go through the official ECIL Recruitment 2017 Notification for detailed age limit and upper age relaxation. On this page, we have updated the direct links to download the official ECIL Recruitment 2017 Notification along with the Application form. If you are not eligible for this recruitment then don’t worry you can check other Telangana PSC jobs from our web page and apply according to your eligibility. So we suggest the candidates check the notification to get the eligibility details. As this good chance for the aspirants who are unemployed in Telangana State. Read the notification and apply for these ECIL Recruitment 2017 Notification before the last date of the application form. Aspirants who got recruited for these position they need to attend the Apprenticeship training period of 1 year for Fitter, Turner, Machinist, Machinist (G), Sheet Metal Worker, Electrician, Tool Maintenance Mechanic, Tool & Die Maker, Mechanic R&ac, Motor Mechanic Vehicle, Electronics Mechanic/ R & Tv, Painter (G), Copa, Welder posts and 2 years for Plumber, Carpenter, Diesel Mechanic positions. Candidates who got recruited they will get the high pay band as per rules of the Electronics Corporation of India Limited (ECIL). Applicants who had applied they will be selected based on the automatic generated Merit List by marks obtained in ITI. You can also check the Syllabus for the other Govt Jobs from our web page. Applicants who are ready to apply they must obey the eligibility criteria as mentioned in the notification. Candidates with the ITI Pass Certificate in respective trade or equivalent from a recognized board are eligible to apply. Candidates minimum age limit is should not be less than 14 Years as on the last date of the application form. And go through the official ECIL Recruitment 2017 Notification for detailed age limit and upper age relaxation. Applicants who had applied they will be selected based on the automatic generated Merit List by marks obtained in ITI. For more informatio read the official ECIL Recruitment 2017 Notification which is attached below section of this page. Near TIFR building ECIL- Post Hyderabad-500062 Telangana State. ECIL Recruitment Notification 2017: The candidates who had successfully completed their BE/B.Tech in Electronics and Communication Engineering and Electrical & Electronics Engineering with first class and looking for the best opportunity, this is a good chance for every unemployed candidate. Recently the Electronics Corporation of India Limited(ECIL) releases the notification for 15 job openings of Technical Officer and Scientific Assistant positions through the official website. It is based on the ECIL Govt Job and this mode of application will be in the online or offline application process already started. So the interested candidates must apply before the last date of the application process. The more details about Electronics Corporation of India Limited(ECIL) Recruitment 2017 are given below. ECIL Job Notification 2017 for the posts are Scientific Asst & Jr Artisan Posts The candidates who are waiting for the notification from ECIL, here is the good news for everyone. The Electronics Corporation of India Limited(ECIL), release the notification for 15 openings of Technical Officer and Scientific Assistant positions through the official website www.ecil.co.in. The interested candidates can apply before the last date. After the application process, the Electronics Corporation of India Limited Management conducts the written test or interview for recruiting the intelligent candidates. After this process, the selected candidates have a Certificate verification. The more details about ECIL Recruitment for the year 2017 like Notification, Job Type, Application process Start and Ending Date, Official website of the organization and other details are given below. For more recruitment notifications just click on Sarkari Recruitment. ECIL Job In Scientific Asst & Jr Artisan Posts 2017 this posts position of Electronics Corporation of India Limited(ECIL) notification details are in given below. The table has details of Organization Name, Job type, Number of Positions, Application starting and ending dates and official website of the organization. For more recruitment notifications daily visit the website Sarkari. For this, they are conducting the tests for that you have to take the ECIL previous papers to practice. Those are very important to practice for the competitive exams. If you want to apply for this job recruitment apply on the official link. You want to get the more details on the basis of this job they have to click on the notifications. ECIL Job Vacancy Details Scientific Asst & Jr Artisan Posts 2017 from the above table they gave some details are there and if you want to know all details please check in the given below link. Candidates should Possess 1st class Diploma in Engineering with at least 60% aggregate marks from any institution recognized by the State Board of Technical Education & Training in Electronics and Communication/ Power Electronics/ Industrial Electronics/ Instrumentation/ Process Instrumentation/ Mechanical, have minimum 2-5 years of post qualification experience at supervisory level in operation and maintenance of substations/ 6.6 or 11 KVDG Sets/ Drivers/ PLC-SCADA/ Electronics industries/ Process Industries/ Mechanical for Scientific Asst, have passed ITI (2 years duration) recognized by NCTVT in the trades of Electronics/ R&TV/ Power Electronics/ Industrial Electronics/ Instrumentation/ Process Instrumentation/ Fitter/ Diesel Mechanic with 2-5 years post qualification experience in O&M of Substations/ UPS/ batteries/ DG Sets/ Electronics Industries/ Process Industries for Jr Artisan Posts with adequate experience. Candidates upper age limit 35 years as on 31-05-2017. Age relaxation is admissible for SC/ ST/ OBC/ PH candidates as per Govt. directives. Candidates will be selected based on applicants performance in written test/ trade test/ practical test. Click on Scientific Asst & Jr Artisan Posts. Date & Time of Interview: 25-06-2017 (Sunday) between 09.30 hrs to 14.00 hrs. Venue: ECIL Branch Office, No.1/1, 2 Nd Floor, Jeevan Sampige, Lic Building, Sampige Road, Bengaluru- 560003.